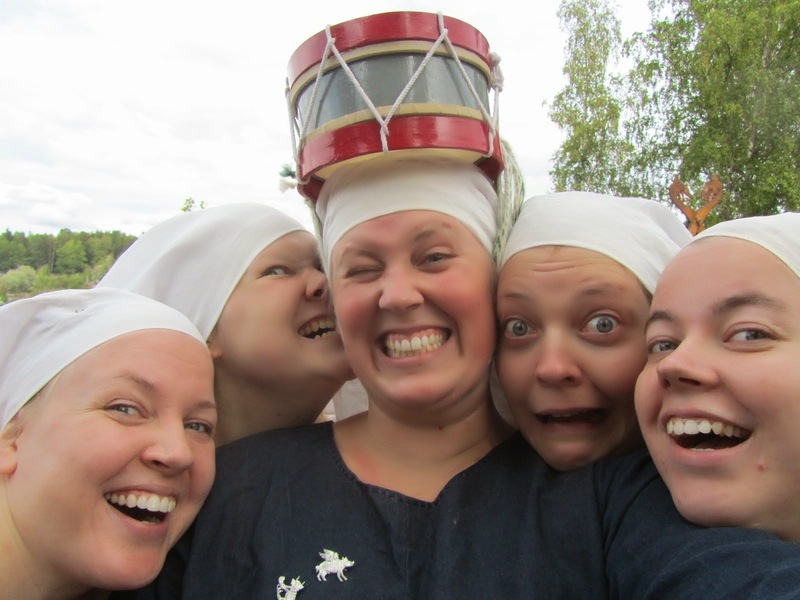 Räikkä ("Ratchet") sing and play medieval secular music on period instruments and with a twinkle in their eye. The group has been known for their energetic performances since 2004. In 2010, the group released their first CD, Markkinoilla ("At The Fair"). The CD includes full translations of the lyrics in English. You can order a copy by sending email to info@raikka.net. The price is 15 euro + postage. Write to the same address if you want to offer a gig or just say what you think of our music. Below, you can watch some of our performances on YouTube.We are in the process of adding English subtitles on the videos, stay tuned!